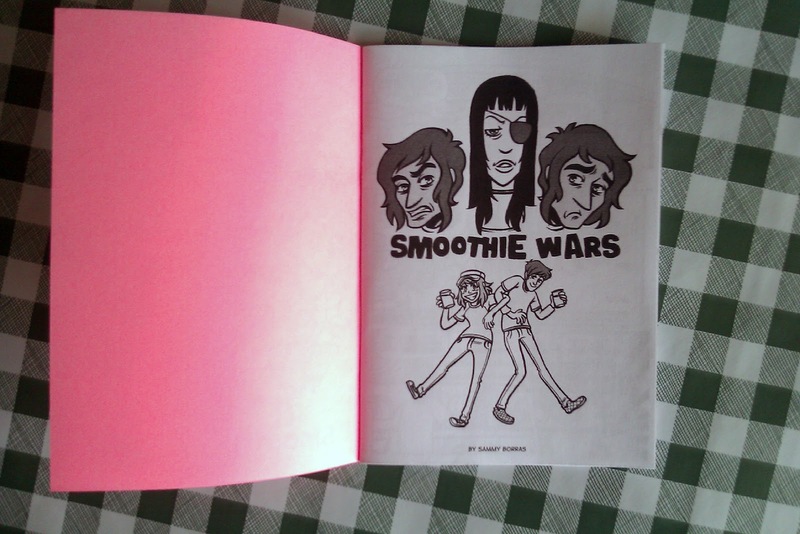 Smoothie Wars is an old webcomic comic short story I drew in the summer of 2010. 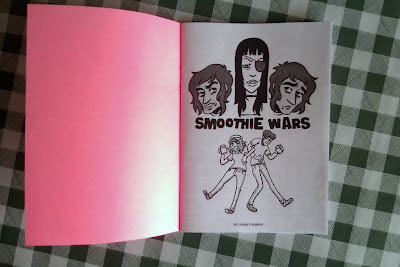 I recently created a comic about some of the same characters for this years Inspired anthology, so I decided to do this limited print run of mini comics. They are available now through my Etsy shop. 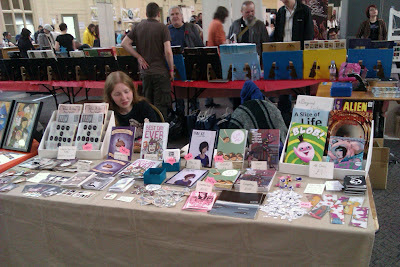 Last weekend I went to Bristol Comics Expo with Inspired Comics. 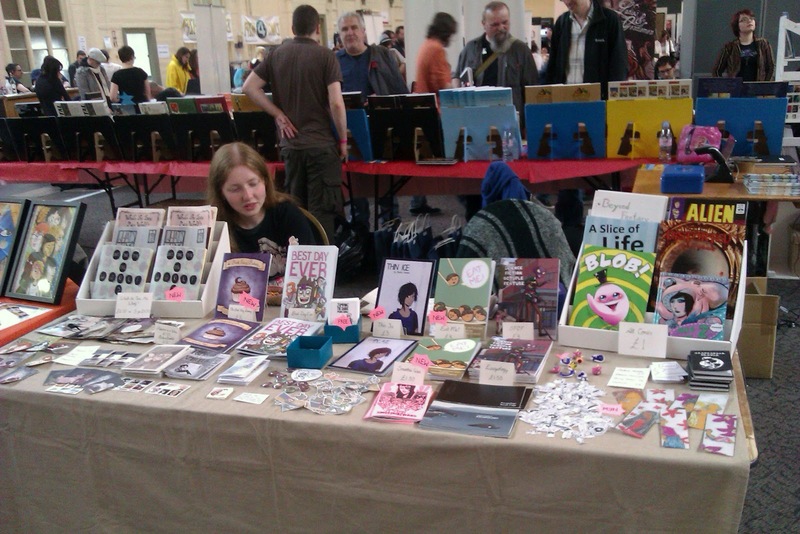 Thank you very much if you stopped by to say hello or buy a comic! What's The Time Mrs. Woolf? 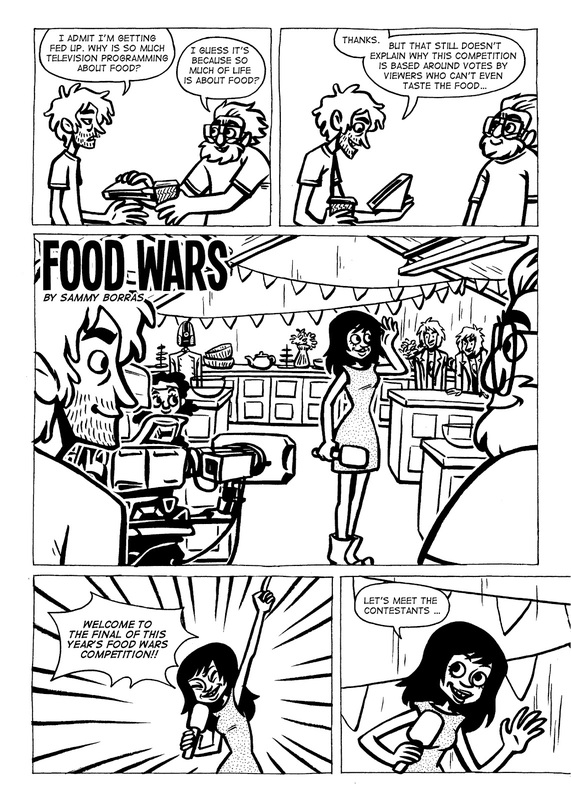 issue 4 was released at the event, and contains a new Silly Symphonies comic. 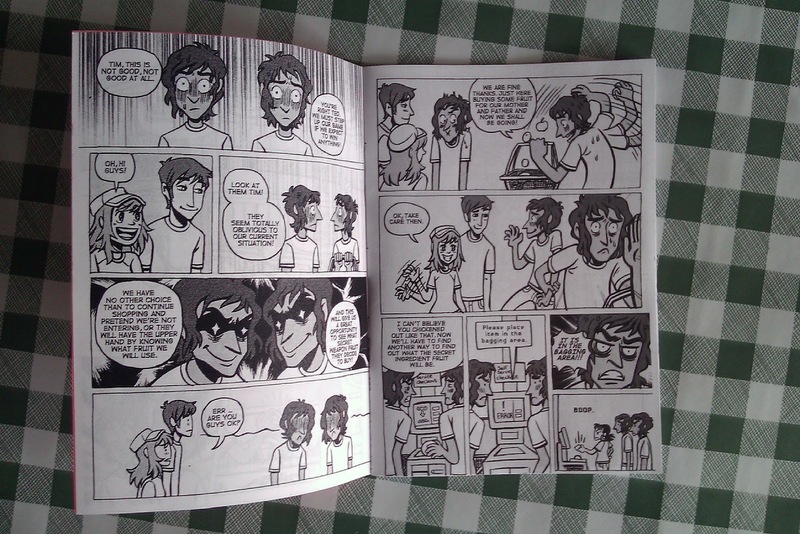 I also took part in Timothy Winchester's Boyfriend Week - To celebrate his webcomic reaching 500 pages! You can read People I Know here! 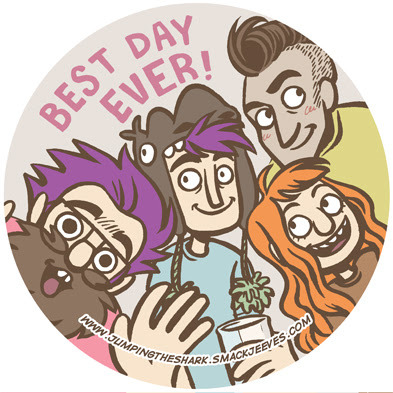 In April I ordered a new print run of Best Day Ever and created a new free sticker to go with the book. 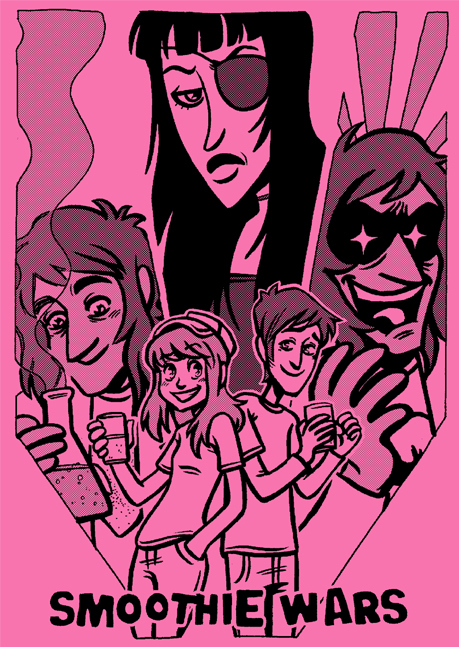 The sequel webcomic story Jumping The Shark is still updating every Friday. The new Inspired Comics anthology. 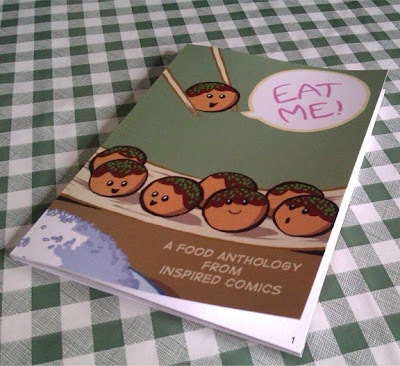 Eat Me! has been printed on time for the Bristol Comics Show. This is the first preview page of my comic contribution. For more previews and development work visit our blog.